Concentrating solar heat could be a pillar of national energy strategies, particularly in countries such as Lebanon, which is blessed with generous amounts of direct solar radiation. The country, situated on the Arabian Peninsula, has made CSH an eligible technology in its National Energy Efficiency and Renewable Energy Action (NEEREA). Guidelines on CSH are now being developed by the Lebanese Center for Energy Conservation (LCEC) as part of the current financing mechanism for renewable energies, according to Tony Gebrayel, Energy Engineer at LCEC. The short-term aims of the country’s energy policy have been summed up in two documents, namely the National Renewable Energy Action Plan (NREAP) and the National Energy Efficiency Action Plan (NEEAP). Both were published in 2016 and cover the years 2016 to 2020. 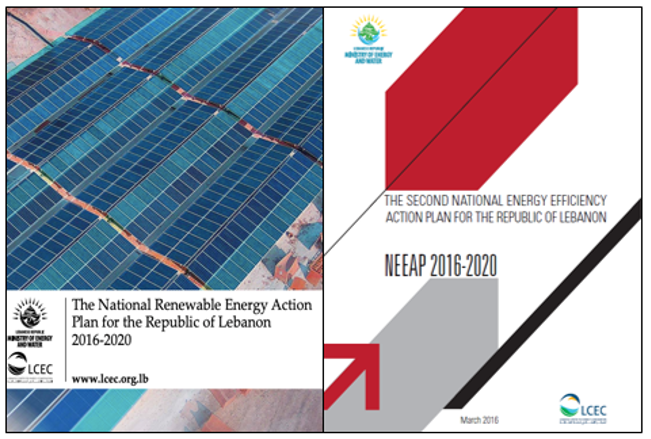 While the first document describes what Lebanon needs to do to meet its 12 % renewable target by 2020, the second one lays down the road map for fulfilling national energy efficiency objectives. Given the country’s large amount of direct solar radiation, concentrating solar technologies are expected to play a central role in generating heat and electricity to provide greater environmental sustainability. As a result, the NREAP includes a target of 50 MW of CSP (concentrating solar power) to be installed by 2020. The CSH guidelines will be based on an existing NEEREA template, which will be adapted to meet the needs of these sorts of systems and allow for technical and financial evaluations. It consists of sizing requirements for CSH plants, financial analyses and environmental impact assessments and provides guidance on tenders and post-installation work. “We expect the CSH guidelines to be publicly available by the end of March,” confirmed Gebrayel. Applications for NEEREA funding could be accepted immediately thereafter. However, the NEEREA application process will take quite a bit of time, and LCEC expects to start reviewing the first applications regarding CSH no earlier than June 2019. NEEAP subchapter 7.1 focuses on the manufacturing sector and describes two energy-saving measures. As for the first, regular energy audits are to be made mandatory for industrial facilities that consume over 400 toe (4,562 MWh ) of energy (electricity and heat) to encourage companies to invest in energy efficiency. Furthermore, 800 manufacturers, which own 20 % of the 4,033 factories in the country, could receive 50 % of what is needed to pay for energy audits. On average, the estimate in the NEEAP puts the cost of an audit at around USD 10,000, so that each manufacturer could benefit from USD 5,000 – which would amount to a total budget of around USD 2 million. The NEEAP also says that the incentive scheme for energy audits is to be combined with an awareness-raising campaign aimed at the industrial sector, especially in rural areas. Currently, energy audits are mandatory for those factories that opt for NEEREA loans to finance PV systems with a generation capacity of more than 60 kWp. The company carrying out the audit must be qualified by LCEC, which regularly publishes a list of all qualified service providers. Additionally, LCEC is about to finalise a draft bill on energy conservation. It will include the requirements stated in subchapter 7.1. A second pillar of Lebanon’s industrial solar heat campaign is a project called MENA CSP KIP, short for The Middle East and North Africa Concentrating Solar Power Knowledge and Innovation Program. Managed by the World Bank, it was set up to raise awareness of concentrating solar heat solutions in industry and runs not only in Lebanon but also in Morocco, Palestine and Tunisia.